-We have succeeded in observing the reconstruction of cell nuclei collected from mammoth fossils inside living mouse oocytes. 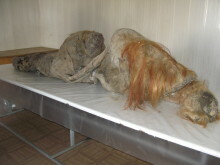 -Mammoth’s cell nuclei were found to have retained biological activity for 28,000 years in permafrost. -This study paves a way for decoding old biological information using cell nuclei of ancient creatures and future leaps of evolutionary biology are expected. There are growing concerns about the effectiveness and legitimacy of the G20 and global governance. The Soka University Peace Research Institute and partner institutions from Australia, Canada, and Russia have convened this one-day conference to address these issues, constructively engaging and contributing to Japan’s G20 Presidency agenda. Until now, the barely understood immuno-pathogenesis for chronic inflammation of the pancreas has been uncovered. The pathogenic immune response that is common for both autoimmune pancreatitis and chronic pancreatitis was elucidated for the first time in the world. Applications are expected for new treatments of chronic pancreatic inflammation and new preventive measures for pancreatic cancer. 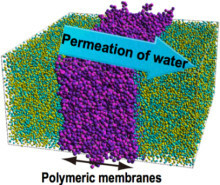 Associate Professor Noriyoshi Arai and his research group at the Mechanical Engineering Department at the Faculty of Science and Engineering of Kindai University have elucidated the mechanism of permeation through polymeric membranes. The findings of this research will be featured in the Journal of Membrane Science , on October 15, 2018 at 8:00 AM (JST). 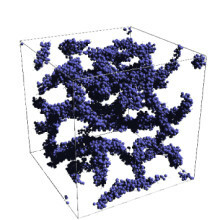 - The study demonstrated that machine learning can be applied to predict physical properties of functional materials that have complex structures. - For the first time in the world, machine learning methodology has been applied to the analysis of complex molecular structures of surfactants that are used in our immediate surroundings, such as detergents and cosmetic products. 1.Experiments have shown that the luminol reaction can be used to detect FOB in animals. 2.This is the first standard method to detect FOB in animal models for ulcers and cancers in the digestive system - which is simple, quick, economical and quantitative - making it applicable to use for any research laboratories. 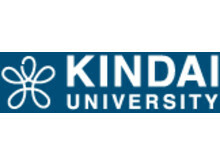 [Key aspects of this study] - World’s first research findings that demonstrate efficacy and safety of a drug which is administered based on genetic screening results. - Efficacy demonstrated by a response rate of 55.1%, which represents the ratio of people whose tumor shrunk. - Potential for partial transition to blood test from endoscopic biopsy, which places a heavy burden on patients. 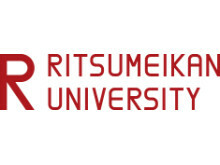 Ritsumeikan University will establish the College of Global Liberal Arts in April 2019, a new undergraduate dual degree program with The Australian National University to offer border-spanning Asia Pacific-centered liberal arts education for a global era. 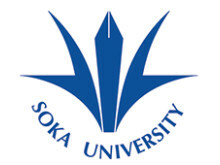 Soka University is holding a Kickoff Symposium for MEXT's "Private University Research Branding Project" titled "Establishment of a Recycling-oriented Society in African Countries - Interdisciplinary Collaboration between Ethiopia and Japan -"
Soka University will hold a Kickoff Symposium entitled, "Establishment of a Recycling-oriented Society in African Countries - Interdisciplinary Collaboration with Ethiopia -" at Room 201, S Building, Soka University on 12th May (Sat). The 2018 ASAIHL Conference will be held from March 26th to March 28th (Supported by: MEXT, Hachioji City) at Soka University (Hachioji City, Tokyo / President: Yoshihisa Baba). Bringing you the latest news - in English - from Japanese universities: "Japan University News" launches! With the goal of increasing global awareness for Japanese universities as well as building a platform for pro-actively building relationships with international media, Daigaku Tsushin will commence "Japan University News" in April of 2018.